Mankind has a tainted history of destroying habitats, usually due to neglect or greed. So, it’s slightly ironic that a mishap in 1986 is now allowing nature a second opportunity to thrive in a human-free zone. 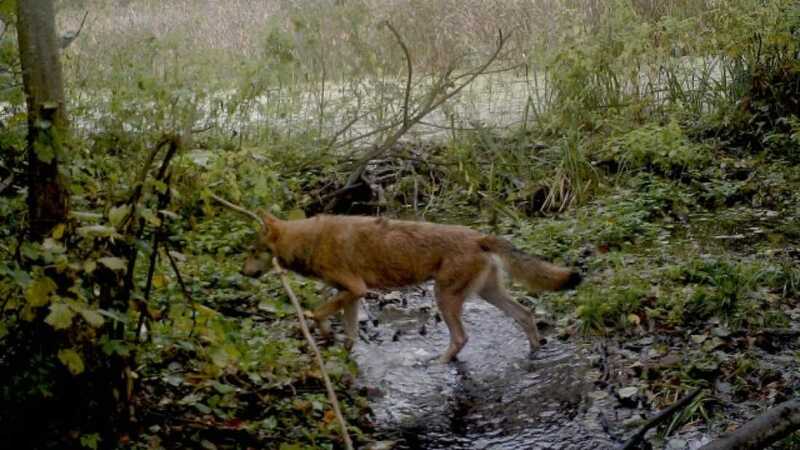 This astonishing realization was revealed, thanks to camera traps that were placed inside Chernobyl’s Exclusion Zone. According to a statement by the University of Georgia, a scavenger study within the zone reveals that wildlife is not only surviving but thriving. Over the one-month period, 10 mammal and five bird species were spotted by the cameras. They include three species of mice, raccoons, dogs, wolves, American mink, and Eurasian otters. Among the birds were jays, tawny owls, magpies, and white-tailed eagles. This isn’t the first time wildlife has been spotted within the CZE. In 2015, Beasley and his colleagues found abundant populations of mammals, such as elk, red deer, wild boar, and wolves, inside the Exclusion Zone. For the most recent study, the team chose to focus on scavengers. As IFLScience reports, they were delighted to discover that 98 percent of the fish they’d left out had been consumed. This was a sign of a healthy scavenger community and, in turn, a healthier ecosystem overall. “This is a high rate of scavenging, and given that all our carcasses were consumed by terrestrial or semi-aquatic species, it verifies that the movement of nutritional resources between aquatic and terrestrial ecosystems occurs more frequently than often recognized,” said Beasley. All in all, it seems the abandoned CEZ is an unexpected haven for dozens of species of wildlife.
? Study: There May Be A Link Between High Pollution Levels And Erectile Dysfunction Scientists Create Transparent Material That Could Turn Windows Into Solar Panels ?